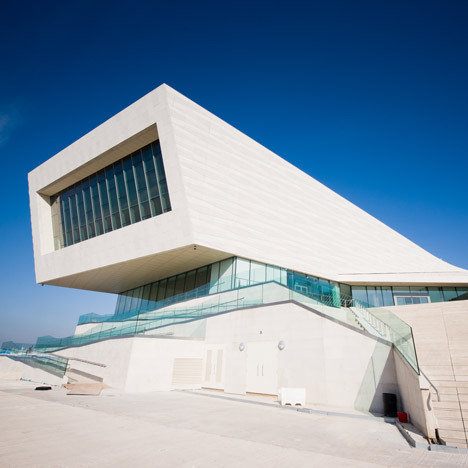 The recently opened ‘Museum of Liverpool’ is the latest addition to Liverpool’s waterfront that is officially recognised as a UNESCO World Heritage site. Housing relics from the city’s past, the new museum is the largest national museum to be constructed in the UK for over a century and is also being billed as the largest City museum in the world. The building itself has a modern appearance and combines large concrete curves with glass to create a great civic space for all to enjoy. The large glass windows installed at the highest point of the uniquely shaped building offer detailed views of the waterfront’s ‘Three Graces’ buildings that includes the world renowned Liver Building. The introduction of the Museum of Liverpool to the banks of the Mersey is symbolic of the City’s gradual regeneration that has so far been respectful of its fantastic architectural heritage. This approach to urban renewal is something that Liverpool City Council has employed over the past ten years with most of the modern buildings in the Docklands area being built in order to fit in with their surroundings and not dominate them. Pilkington has in the past been called upon to aid renovation in this particular area of the City, most notably our involvement with the construction of a 350 metre long pier and Cruise Liner terminal in 2008. Built on floating concrete the modern facility employed Pilkington Planar™ structural glazing for the reception building and it was also used to glaze the 177 metre walkway that links the reception building and the terminals pilot building. This modern pier provides a great example of how glass products can be used to create unconventional buildings with ease and efficiency. In addition, the Pilkington Planar™ structural glazing is also combined with Pilkington Suncool™ to provide an aesthetically pleasing feature offering excellent solar control properties with high light transmittance. The use of Pilkington glass products has ensured that cruise liner passengers are welcomed to Liverpool in style and when they depart their transport are presented with a clear and protected walk into the heart of the historic waterfront.